The Canadian branch of the International Automobile Remarketers’ Alliance completed its first training event earlier this month for its members. The event was held at ADESA Toronto on May 7 and featured a variety of programs designed to help organizations and individuals in their remarketing efforts. The theme of the program was “Remarketing 101,” and the curriculum was devised in order to provide an understanding of various aspects of selling vehicles at auctions. “IARA Canada has been studying various training initiatives since its inception, and it was clear from our members that a great opportunity to launch our training program was for those in remarketing roles, or with roles that remarketing effects, whom may not have a fulsome understanding of entire remarketing chain-of-events,” said Josh Bailey, Canadian Black Book vice president, research and editorial, and IARA committee member. 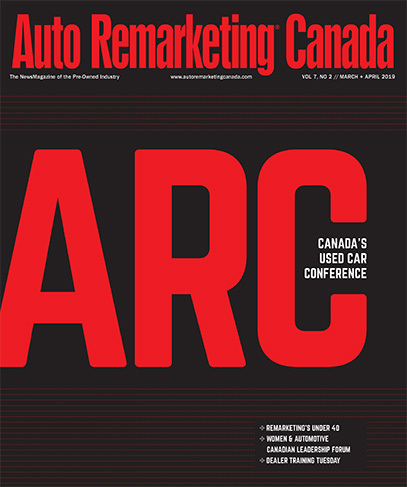 Bailey told Auto Remarketing Canada attendee feedback was all very positive. “Even though some admittedly had experience with wholesale auctions, everyone walked away with new information,” he added. The day included presentations from Claudio DeAngelis of Foss National Leasing and Gerry Corcoran of Jim Pattison Leasing. These presentations explored the numerous avenues a remarketer can take when selling vehicles that have been returned to them. Steve Coulman, Manheim Canada; Steve Langdon, Adesa Canada; and Josh Bailey Canadian Black Book, were also on hand “to provide insight from their experiences and how their various valuation tools can help in the remarketing process,” IARA officials explained. The participants were asked to predict the value of seven vehicles sold that day using their skills learned from earlier presentations. Four teams recorded their estimates, and these were compared to the sales results from the auction block. “The ‘Appraisal Champions’ walked away with bragging rights but all left with a better understanding of the workings of an auction and remarketing,” organizers noted. IARA Canada will offer its members the Remarketing 101 course again this fall. “We are looking at how to elaborate upon it to help further deepen remarketing skills; this means additional courses could be added,” Bailey said. He explained IARA Canada is also looking into plans to adapt the IARA certification process already offered in the U.S. for the Canadian branch.